• Rigid S.S Frame Work. 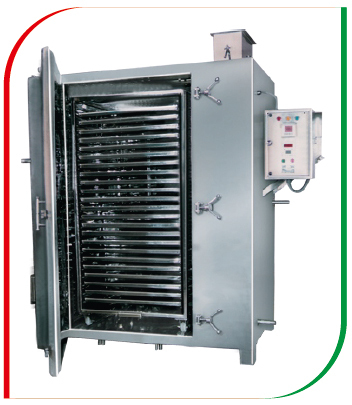 • Heating Media - Electric / Steam For Uniform Drying. • Unit With Air Inlet, Air Filter. • Specially Designed Locking System is Provided Easy Tighting of the Door. • Sophisticated Control Panel With On/Off Push Buttons , Indicating Lamps.